Stellar Blue is excited to announce the recent launch of a new custom website for Hurckman Mechanical Industries, Inc. Based out of Green Bay, Wis., Hurckman Mechanical Industries provides engineering, design, installation for HVAC, heating, air conditioning, refrigeration and plumbing systems to clients. This is Stellar Blue’s first project with Hurckman Mechanical Solutions. When visitors first come to the website, they will notice a bold and dynamic design that features real images from Hurckman. The simple, yet interactive navigation bar gives users ways to explore the website and find the information they desire. Drop-down menus appear with a variety of options as the user hovers over the navigation bar. As visitors move down the home page, they find information about the company, projects, and icons that highlight the services they offer. The home page concludes with location details and social media icons. 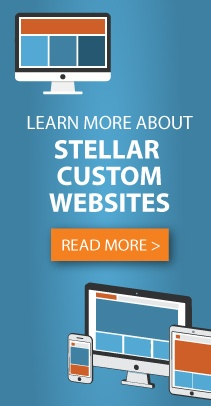 The custom website is built with a responsive design that operates well across a variety of platforms and devices. WordPress integration allows easy content updates and the ability to simply edit pages throughout the website. The website comes equipped with home page animation and project profiles that showcase recent company projects. Another feature to mention is the contact form that allows users to easily reach out to company personnel with any questions or comments.